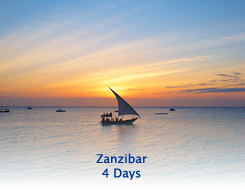 The islands are a semi-autonomous region of Tanzania. Historically they have featured importantly in the colonial spice trade and spices are still an important part of the economy. Today's visitors to the archipelago about 15 miles off the coast of Tanzania enjoy the unique culture, history and beautiful beaches along the crystal clear Indian Ocean.